Economical way to mail computer software, photographs, awards and other bend sensitive documents. Our rugged 18 pt. recycled solid fiber material is lighter weight than typical rigid mailers saving you up to 0.40 per piece on postage. The convenience of side loading rigid mailers results in higher productivity. The Peel and Stick closure increases productivity even more. Your customers will like the quick, easy and convenient tear strip opening. 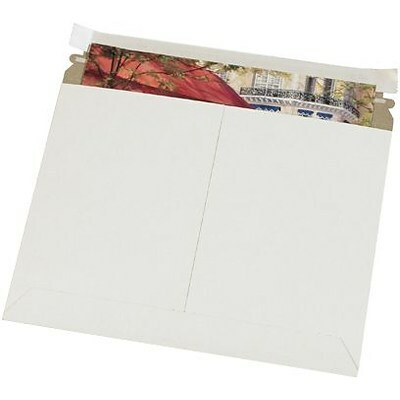 The clean white exterior of our postage saver adds distinction to your mailing.